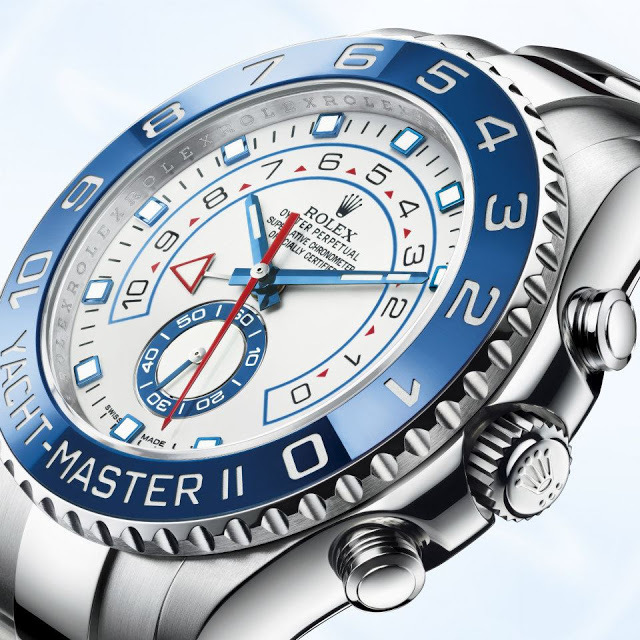 For the first time the Yachtmaster II regatta chronograph is available in steel, with a bezel in blue ceramic. The Yachtmaster II is now much more affordable with the launch of an all steel model. 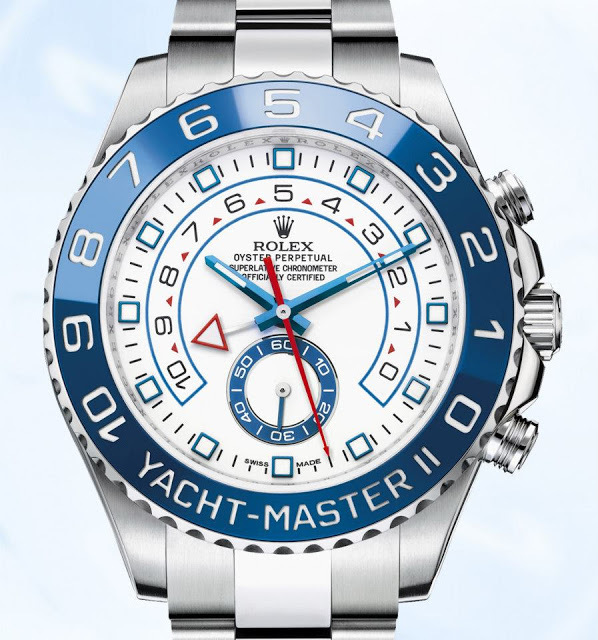 This has a blue ceramic bezel, and unusually for a sports Rolex, blued steel hands and indices. These go well with the glossy white dial. At 44 mm the case dimensions are identical to the precious metal models. And it also uses the same cal. 4161 movement with yachting countdown function which can be used to countdown from between one to 10 minutes. 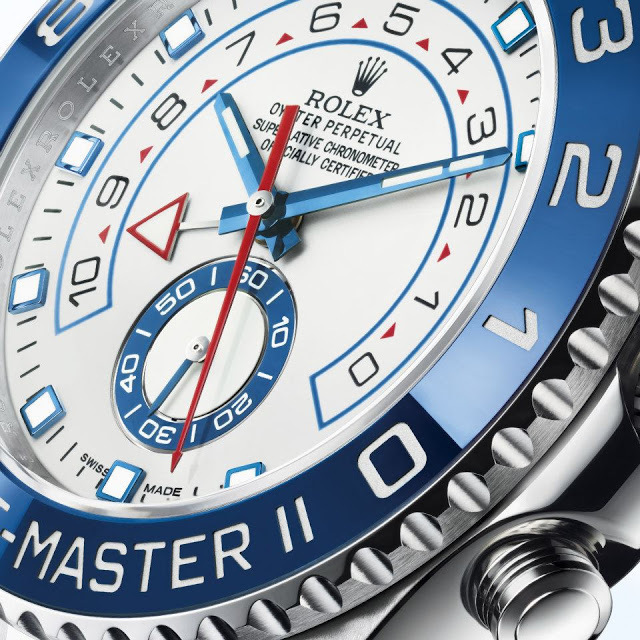 The Rolex GMT-Master II has been facelifted and now has a black and blue ceramic bezel.